The Supreme Court has stayed the commercial release of genetically modified (GM) variety of mustard, till October 17 when it hears the matter again, Aruna Rodrigues, the petitioner seeking moratorium on GM crops told Down To Earth. The apex court is hearing the petition by Rodrigues which seeks moratorium on the release of any genetically modified organisms into the environment pending a comprehensive biosafety protocol in the public domain. 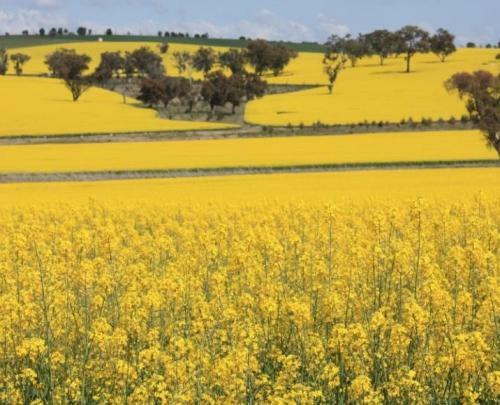 The petition also seeks a prohibition of open field trials and commercial release of Herbicide Tolerant (HT) crops including HT Mustard DMH 11 and its parent lines or variants. It seeks an inquiry into the field trials and application process of HT Mustard DMH 11. Noted lawyer Prashant Bhushan is the counselor for the petitioner. A sub-committee of the Genetic Engineering Appraisal Committee under the Environment Ministry had, on September 5, declared GM mustard safe for humans, animals and the environment. It had sought comments from public till October 5. The comments will now be examined by the same committee. Separately, Chief Minister of Bihar Nitish kumar and Kerala's Minister of Agriculture V S Sunilkumar have written to Prime Minister Narendra Modi and Union Minister of Agriculture Radhamohan Singh respectively demanding a ban on GM Mustard. “It is unclear why this herbicide tolerant (HT) GM mustard, which seeks to promote itself as a hybridisation technology, is even being considered by the Government of India when we already have non-GM hybrids available,” Nitish Kumar said in the letter.